Unless you’ve been living on a forest moon, you know that Star Wars: The Last Jedi hits theaters this week. TBB’s own Iain heath takes aim at what some fans are worries might be the next ewoks of the Star Wars universe, the feathered creatures known only as porgs. 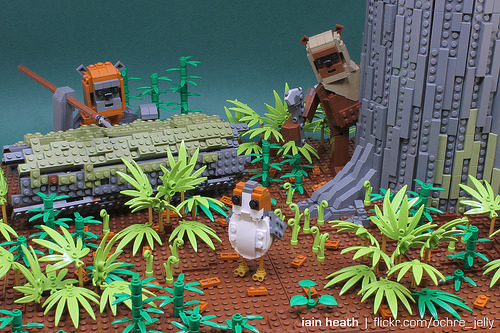 In this diorama, Iain features a pair of our favorite furry teddy bears hunting an unsuspecting, wide-eyed bird-thing. As always, Iain’s eye for the elemental details in characters remains flawless, capturing the essential form of both creatures.